October 17, 2018 October 17, 2018 reefbitesLeave a Comment on Sketching to SCUBA and back: Scientific natural history illustration and the sea. Sketching to SCUBA and back: Scientific natural history illustration and the sea. What is Natural History Illustration? Natural history illustrators take a scientific attention to detail and a deep understanding of their study organisms and apply it to art. These works are not only beautiful, but they convey important information about the subject, incorporating details that highlight the anatomy, life cycle or even behaviour of an organism. It is meticulous, careful and ultimately creative work that requires extensive research and an artistic eye. These artworks are created expressly to communicate accurate information about the scientific subject. They therefore represent a valuable tool in science communication, and often have the power to elicit an enthusiasm and interest in the viewers that might not be achievable otherwise. You’ll have seen these eye-catching illustrations online, in textbooks, museum displays, and species identification guides. Many marine scientists will also have a piece or two decorating their homes and offices! Discussions around natural history illustration can sometimes veer towards artists that worked before the advent of camera equipment, and this engenders an assumption that work produced today is somehow less relevant. The reality is that this kind of work remains immensely valuable, both to the scientific community, and in widening communication about the natural world to the general public. All the best illustrations are the product of extensive research. Visual communication of a subject requires detailed knowledge of the specimen and is usually the outcome of many hours of field observations and sketches. Research these days will often additionally involve videos, photographs and even museum specimens to capture specific details of an organism such as its morphology, behaviour or habitat. Many 19th century European illustrators made glaring, and sometimes humorous, mistakes in studying species from other parts of the world, because they relied on skins or stuffed specimens. Some of the most famous examples of these kinds of inaccuracies relate to birds of paradise, where illustrators simply employed their imaginations to decide what the live bird might have looked like. Specimen collectors at the time seemingly did not think to ask anybody locally how the live birds looked and behaved. These errors wouldn’t be corrected until many years later when behavioural observations of these birds were finally incorporated into the illustrations. By spending so much time getting to know a subject before they ever produce their final work, illustrators have highlighted key details that others have overlooked. Their contributions have informed the study of an enormous range of organisms and educated many others along the way. Furthermore, by choosing to place emphasis on significant identifying details (that aren’t necessarily easily visible in photographs), illustrators’ composite drawings are particularly useful in species identification guides. This is especially important when a species is very rare or difficult to photograph, thus conveying information that would otherwise be missed. Figure 1. This stunning artwork by Dawn Witherington shows a stoplight parrotfish (Sparisoma viride) in its initial phase. The artist has clearly shown key identifying features for the species in the mottled pattern of the scales and the red belly, whilst also communicating something of the character of the fish underwater. Further context is given where species are then placed in their natural habitat (Fig. 2), and illustrations such as these play an important role in communicating the diversity and fragility of coral reef ecosystems to stakeholders and policy-makers. Figure 2. Stoplight parrotfish alongside the other species found in an Atlantic coral reef habitat by Dawn Witherington. This illustration appeared in a report card for the reef health of the Bahamas, helping readers to visualise (and therefore care about!) the different kinds of reef habitats in the region (Dahlgren et al. 2016). The majority of illustrators in this field have scientific training. Dr Lindsay Marshall trained as a shark and fisheries scientist and is now working on the Chondrichthyes: Tree of Life Project. This mammoth undertaking aims to document the world’s sharks and rays using an online database. The database ranges from your well-known representatives of this class to many hundreds you might not have heard of, and each illustration carefully documents the unique characteristics of each species. If you are a shark and ray lover, be sure to check it out! Lately, I’ve been picking up my pencils again having stumbled across Newcastle University in Australia’s course; Drawing Nature, Science and Culture: Natural History Illustration 101. This is free online through edX and has been a wonderful reintroduction to drawing that has allowed me to apply old artistic interests to my current world of corals and fish. If you’re a keen artist or total beginner, I’d urge you to give it a go! Trying to draw a subject for the first time forces you to take a closer look at species you think you know, making it a hugely rewarding process regardless of personal artistic ability! Scientific drawing and natural history illustration simply represent another way of looking at and communicating about the natural world, and over time these artworks also reveal interesting truths about our values and perceptions as a society, and our relationship with our environment. The artists that produce these works make an increasingly important contribution to understanding different species, and eliciting enthusiasm for the diversity of life both above and below the water’s surface. Dahlgren, C., K. Sherman, J. Lang, P.R. Kramer, & K. Marks. 2016. 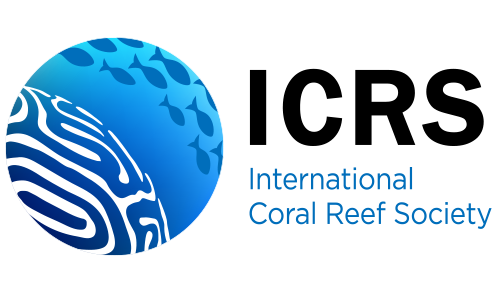 Bahamas Coral Reef Report Card Volume 1: 2011–2013.